The cows apparently damaged headstones after being herded into the cemetery by an unsuspecting accomplice. 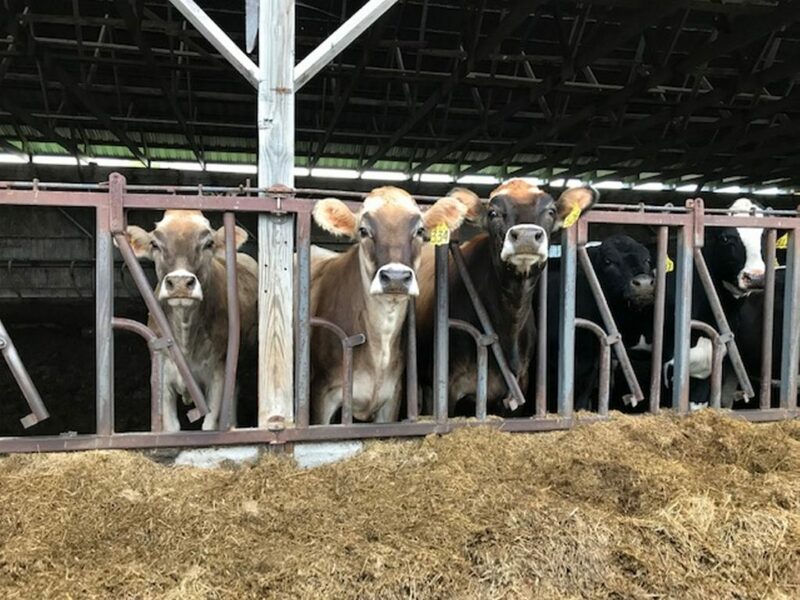 ALBION — A group of escaped cows eventually came home to Maple Shade Farm after a late night out in a local cemetery this summer, but not without an unexpected bill for their owners. 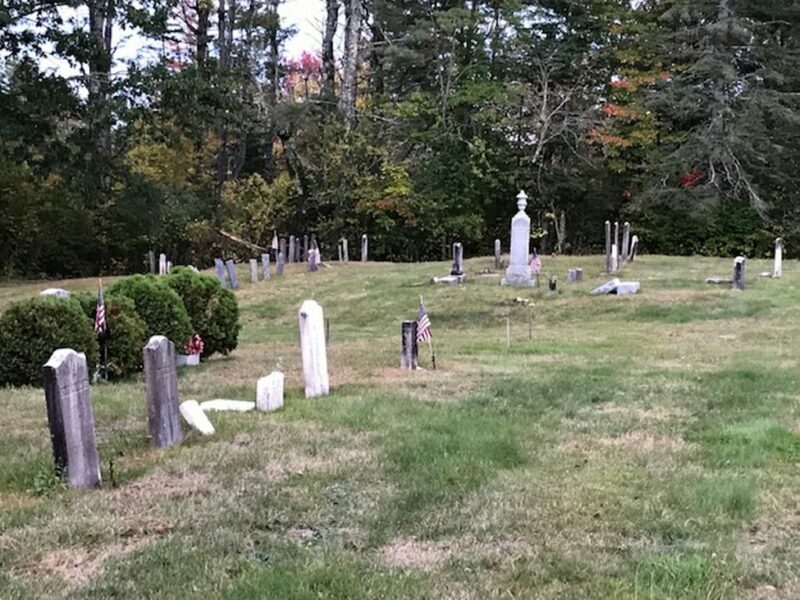 The Albion Selectboard voted 2-0 Sept. 24 to approve tentatively $2,700 in repairs at one of the town’s cemeteries, pending an official estimate from a contractor. The town’s road commissioner asked what happened to the cemetery. Dairy farmer Ernest “Buddy” Hawes estimates that about 20 of his cows got out around 1 a.m. one August evening and eventually found their way into Whitaker Cemetery, where they damaged some of the headstones. Bradstreet said Thursday that since then the town has received a lower estimate of $1,080 from a second contractor, and she thinks the cows damaged about 14 stones. Hawes, who owns Maple Shade Farm on Crosby Road with his wife, Wanda, said his cows were driven into the cemetery that night by an unidentified driver who was trying to move them away from the roadway and thought he or she was doing the right thing. Hawes indicated that he would be willing to pay for the resulting damage. Wanda Hawes said the cows had broken through fencing before the unknown driver came across them. Though Buddy Hawes didn’t find the event particularly newsworthy, he drove a Morning Sentinel reporter to meet the wandering cows and survey the damaged stones on Monday. Whitaker Cemetery is near the intersection of Crosby and Benton roads and is surrounded by Hawes’ land, he said. 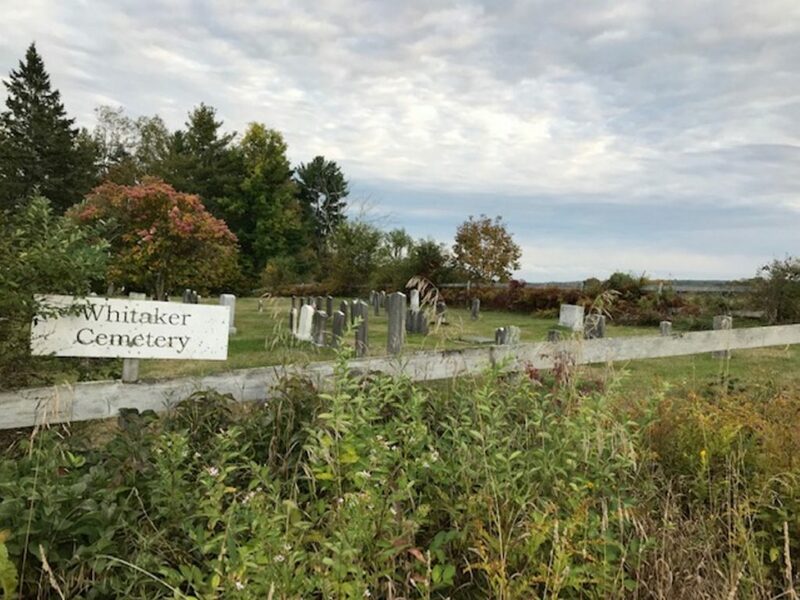 The cemetery is one of nine listed on the town’s website and also is referred to as “Whitaker/Crosby.” A list of those interred at the cemetery includes several people who were born in the late 1700s. According to Hawes, Whitaker Cemetery already had needed repairs because last fall’s historic windstorm damaged some of the graves, and then his roughly 1,200-pound animals came to pay their respects. As of Monday afternoon, several headstones lay broken on the ground, and Hawes thinks that only four or five of them were damaged by his Brown Swiss and Holstein cows. He implicated roughly 20 members of the herd in the escape and said the farm has a couple hundred cows on 250 acres. Hawes, 66, said that while it’s certainly not unprecedented for cows — including his — to get out, they’ve never made it into the cemetery before. He initially joked that perhaps something else — a bear, maybe — had caused the most recent damage, but quickly conceded it was his cows that had done the deed. After all, he was the one who had the monumental task of getting them out of the cemetery that night. “It was hard to get them out,” he said. Hawes said he is willing to pay for the damage caused by his cows, but he hoped that sum wouldn’t be lumped in with cemetery repairs needed before the late-night cattle drive. Hawes said he trusts Terry Hodges, the sexton of Albion’s Cemetery Committee, to “do the right thing” in terms of identifying which graves already were damaged before the cows got in. “I’ll go according to the sexton,” Hawes said. Hodges said he hadn’t seen a situation like this one in his roughly 12 years on the committee, calling it “kind of rare.” He also confirmed that there was existing damage in the Whitaker Cemetery dating back to last year’s storm. He also said he has photos that were taken before the night the cows got in that will help determine which headstones they tipped over. Hawes suggested that the cemetery should have been closed off to prevent his cows from entering in the first place. He said he has put gates up since then to avoid a repeat occurrence. “I’ve always said that is something that could happen,” he said. He also was surprised to hear that the issue had come up at least week’s Selectboard meeting. “If something was going to be brought up, at least I should have been notified,” Hawes said, but added that he wasn’t looking to make an issue out of the situation. Bradstreet said the Selectboard will vote on Monday which of the two repair estimates to accept. 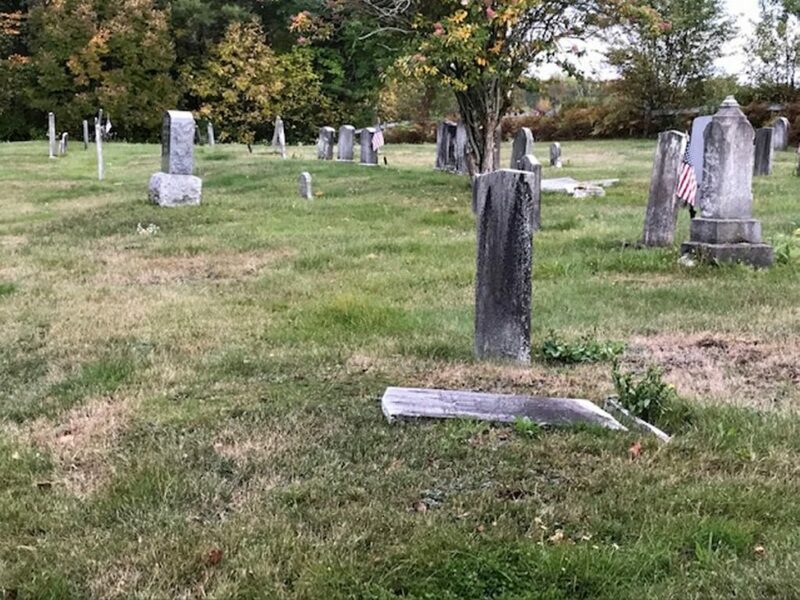 She said the initial $2,700 estimate came from Aaron Poulin, who mows the town’s cemeteries; and Horace Stevens, of neighboring China, provided the second at $1,080. Bradstreet and her son, Kevin Bradstreet, are the only two current Selectboard members. “We’re just waiting to receive the bill,” Wanda Hawes said Monday. She also had some advice for any driver who comes across cows near the roadway and thinks about trying to move them: “Call the farmer, and he’ll take care of it,” she said. This story has been updated with the correct estimate for a contractor to make repairs to the cemetery.